Tamahide - The Best and Oldest Oyakodon in Tokyo! 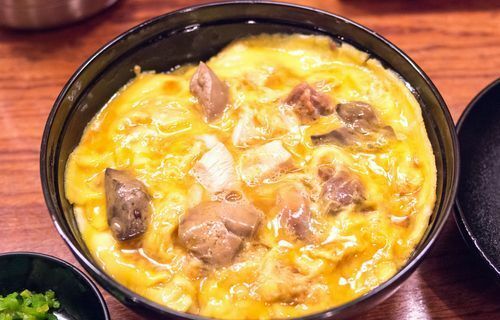 Tamahide is the birthplace of a Japanese popular dish called oyakodon. It is arguably one of the best restaurants in Tokyo serving the comfort food, as it has been loved by the people for over 250 years! The oyakodon is incredible and so are other chicken dishes. Here is information about Tamahide you want to know before visiting (location, menu, etc)! Tamahide is probably the best known oyakodon restaurant in Tokyo. It offers the most authentic oyakodon, because of the fact that this is the place where it all began. They opened the restaurant in 1760 (that's more than 100 years before Japan actually opened to the outside world!). The place had been a raved-about restaurant for decades, specializing in sukiyaki chicken, when the 5th generations of owners invented the now famous oyakodon dish. Oyakodon is one of the most popular Japanese rice bowl dishes. Oyakodon literally means "parent-and-child bowl", because its two main ingredients which are chicken and eggs are cooked together. Admittedly it sounds a bit of cruel, but oyakodon tastes just so great. Juicy chicken, eggs, and usually slices of onions are simmered in a savory soup made from soy sauce and dashi (Japanese cooking stock). The irresistibly savory topping is then placed over a bowl of rice. There is nearly always a long line to get in so expect to wait around 30-60 minutes to get a meal. You need to get in line by 13:30 to get the chance to savor the famous oyakodon. They also serve oyakodon at dinner time but only as a course dish. So if you wish to try it at the lowest cost, you should go during the lunchtime (opens at 11:30). Virtually everyone queuing comes for the oyakodon. It has small cuts of juicy chicken and custard-like creamy eggs which is cooked to the perfection. They are simmered in a light, yet flavorful, savory, and slightly sweet soup, which boosts the natural flavors of the ingredients. It just tastes excellent and more sophisticated than the standard bowl of oyakodon. 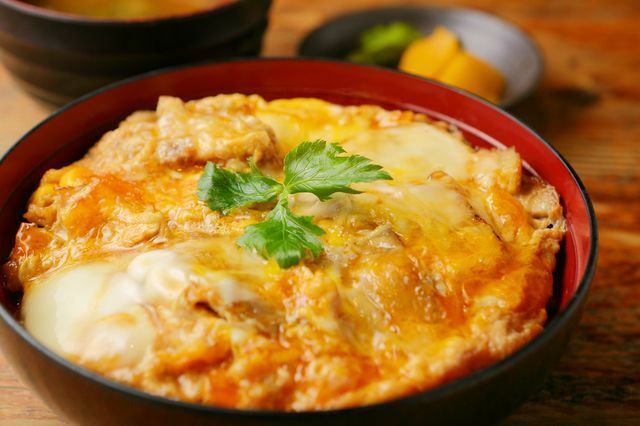 -Special oyakodon (2200 yen); regular dish with added "grilled chicken sublime"
They offer several course menus during the dinner time that consist of oyakodon and side dishes. They are served by a waitress wearing a kimono (traditional clothes). Oyakodon courses range in price from 4800 yen to 15,000 yen. They are also famous for "torisuki", a hotpot-like dish with slices of chicken. Their torisuki is said to be the origin of the popular Japanese dish "sukiyaki" which uses beef instead of chicken. Torisuki courses, which also include oyakodon dishes, are available from 9800 yen. Tamahide is a highly recommended restaurant when you are in Tokyo. You can enjoy the amazing atmosphere of the restaurant of long-standing and, above all, the delicious, original oyakodon dish, which is surely above and beyond any other oyakodon you have ever had.